Before “The Boy In The Bubble” and “Graceland”…before “50 Ways To Leave Your Lover” and “Me And Julio Down By The Schoolyard”…and before “Bridge Over Troubled Water” and “Sound Of Silence,” there was a multitude of early doo-wop infused recordings by the likes of Tom & Jerry, Jerry Landis, Tommy Graph, Artie Garr, True Taylor, The Mystics and Tico And The Triumphs. No matter what name they recorded under, they were still two teenagers named Art and Paul, and when their voices blended, they were undeniably Simon & Garfunkel. 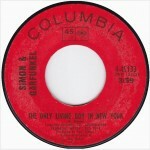 Between 1957 and 1963, Simon and Garfunkel wrote and recorded songs around The Brill Building until early 1964 when they were signed to Columbia records by Clive Davis. 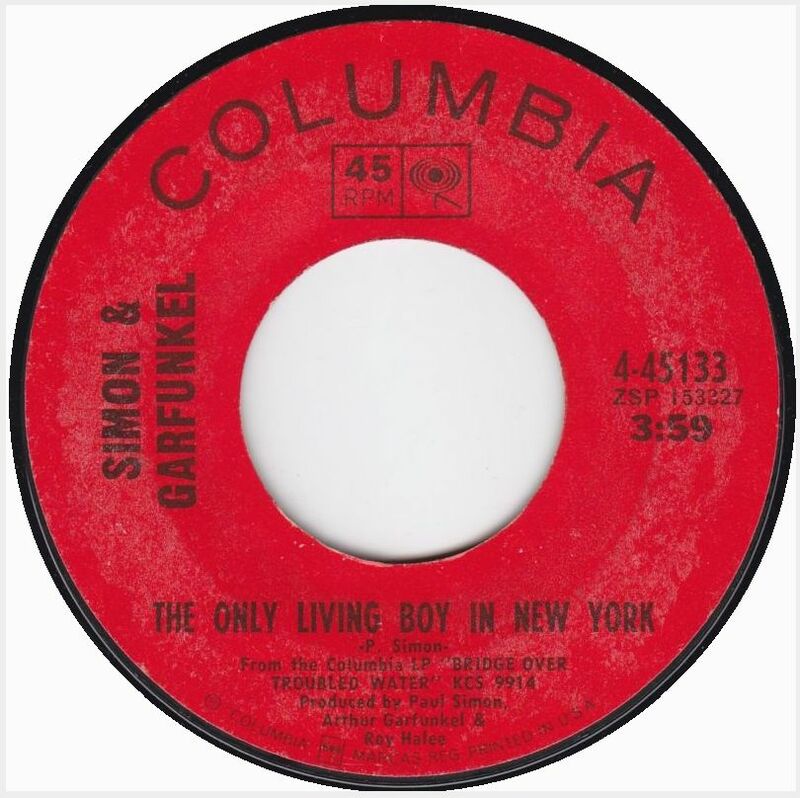 From then on, they would be known as Simon & Garfunkel who gave us dozens of classic hits that have stood head and shoulders tall next to the likes of recordings by The Beatles, The Rolling Stones and Bob Dylan. 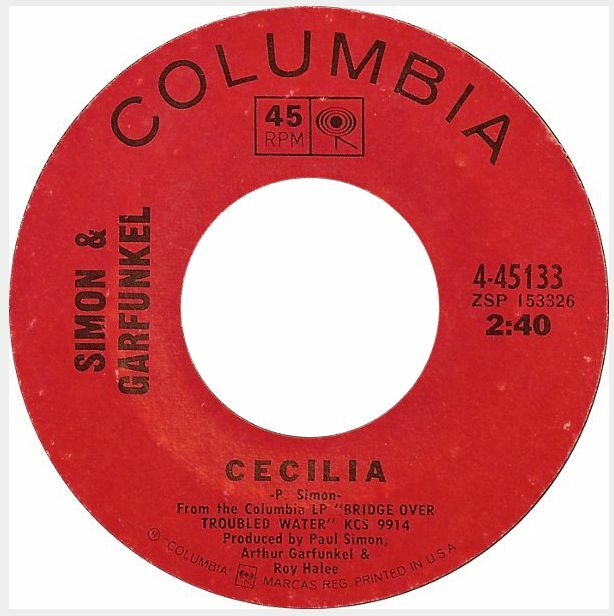 Today’s jukebox classic is from Simon & Garfunkel’s classic Bridge Over Troubled Water album from 1970. The song was written in the same house on Blue Jay Way in Los Angeles that George Harrison rented, and named a Beatles’ song after. 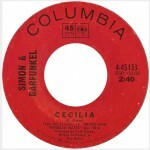 “Cecilia” was the second single released from the album and peaked at #4 on the US singles charts in 1970. The song features one of the most incredible and infectious percussive tracks, which was formed by recordings of Paul and Art slapping their thighs while others thumped on a piano bench, dropped bundled drum sticks in an echo-laden room and strummed guitars with slackened strings. From this, producer Roy Halee created the musical bed for one of Simon and Garfunkel’s most joyous and catchy songs. The song has seen several covers by Smokey Robinson and The Miracles, Times Two (who’s version peaked at #79 on the charts in 1988), the ABBA tribute band Bjorn Again and Suggs of Madness. Suggs’ version of the song sold a half million copies and peaked at #4 on the UK singles chart in 1995. Most recently, the group Fun. heavily borrowed elements of “Cecilia” for their #3 hit “Some Nights,” and failed to give the duo credit. The flip of today’s single, “The Only Living Boy In New York” is also from the Bridge Over Troubled Water album. The song was written about Art Garfunkel who went off to Mexico to make the movie Catch-22, leaving Simon behind to write songs alone for their last album as a duo. In the song’s lyric, “Tom get your plane right on time. 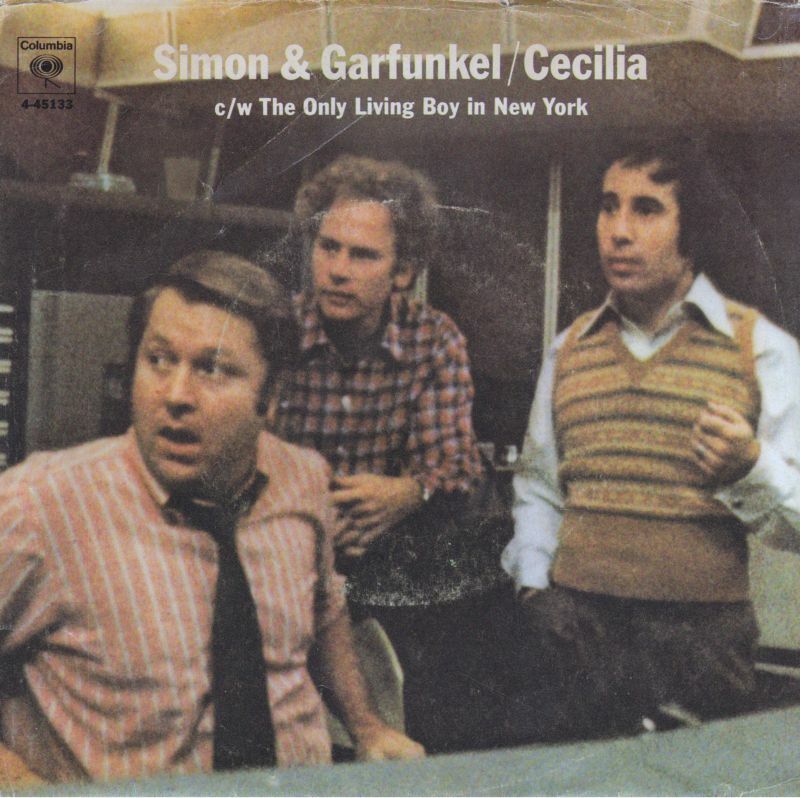 I know that you’re eager to fly now,” Simon refers to Garfunkel as Tom harking back to their Tom And Jerry days at the beginning of their career. Garfunkel’s absence during the album’s creation was one of the key factors that led the duo’s demise shortly after the release of the album. This song also includes one of Simon’s most classic lyrics: “I get all the news I need on the weather report.” These were words I lived by for a time when I was much younger, and their innocence still holds much appeal for me today as well. Musicians on the song and the rest of the Bridge album included the best of the Wrecking Crew including Joe Osborn on bass, Larry Knechtel on organ, Fred Carter Jr. on guitar and Hal Blaine on drums, plus Nashville Bluegrass dobro king Peter Drake. During the recording of the background ahhs in the song, Garfunkel remembers Bob Dylan stopping by the studio for a visit. The song has been covered by The Coolies (on their classic Dig album), Everything But The Girl and Marc Cohn. Today’s single brings The Jukebox Series to a close, however over the years I have taken numerous singles out of the jukebox in order to settle on the collection of records that are in there now. As a result, I’ve chosen to extend The Jukebox Series to include the records that once inhabited my jukebox and have now been retired. Stay tuned for more golden oldies to come over the next few months.